Well, we're one week in! How's it going? 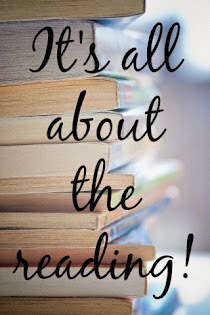 I hope everyone is getting lots of reading done and enjoying the new longer format. I know I am because I know I have another week to dig in and reach my goals. Universe abiding! Share with us in the comments how you're doing, or leave a link in the comments. Many are updating on Twitter (#WintersRespite) and in our Facebook group. Be sure to check out the giveaway/prize page and don't forget about the giveaway being hosted by Bemused Bookworm. It's open until tomorrow (Monday) night, midnight CST. 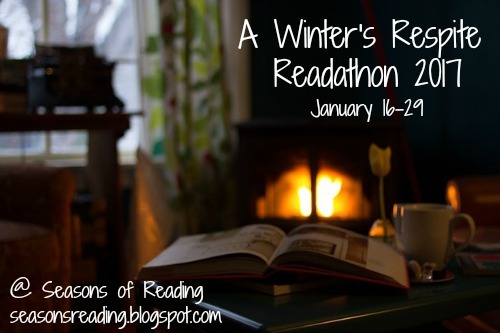 Wishing you all successful and happy reading for the remainder of the readathon! So far I've managed to finish up two books (Motherhood is Murder by Diana Orgain & Life, the Universe and Everything by Douglas Adams), a folktale/story collection (The Grandfathers Speak by Hitakonanu'laxk), a poem collection (Then Come Back: The Lost Neruda Poems by Pablo Neruda) and So Long and Thanks for All the Fish by Douglas Adams. So far, I've finished one book. Now I have two more to go. Here is my update link: http://floodbooks.blogspot.com/2017/01/a-winters-respite-readathon-check-in.html Two books down so far! Thanks for hosting! So far I've only finished on book - Love Does. Hopefully will finish P&P and In the Bag next week. I have done better than expected and I am sure I am going to read more than my goal. I started the week having to read 2 books if I wanted to read them before returning them to the library. And finished the week by taking part in the 24 in 48 Challenge where I read for 25 hours. I read the second half of Hidden Figures and then about the first half of No Man's Land by Simon Tolkien, which I'm really enjoying. I didn't do any reading at all over the weekend, though, so now I'm getting back to it tonight. EnJoying the annual Reading Respite - Thanks, Michelle !